$9.54 /SF (6 SF Box) Corners and other packaging units available. Contact us for pricing and quantity discounts. Local pickup and direct shipping anywhere in the USA. White Oak Multi Splitface Stacked Stone panels feature off-white natural marble, with depth and dimension ranging from 3/4″ to 1 1/4″. Use to create stunning accent walls throughout the property. 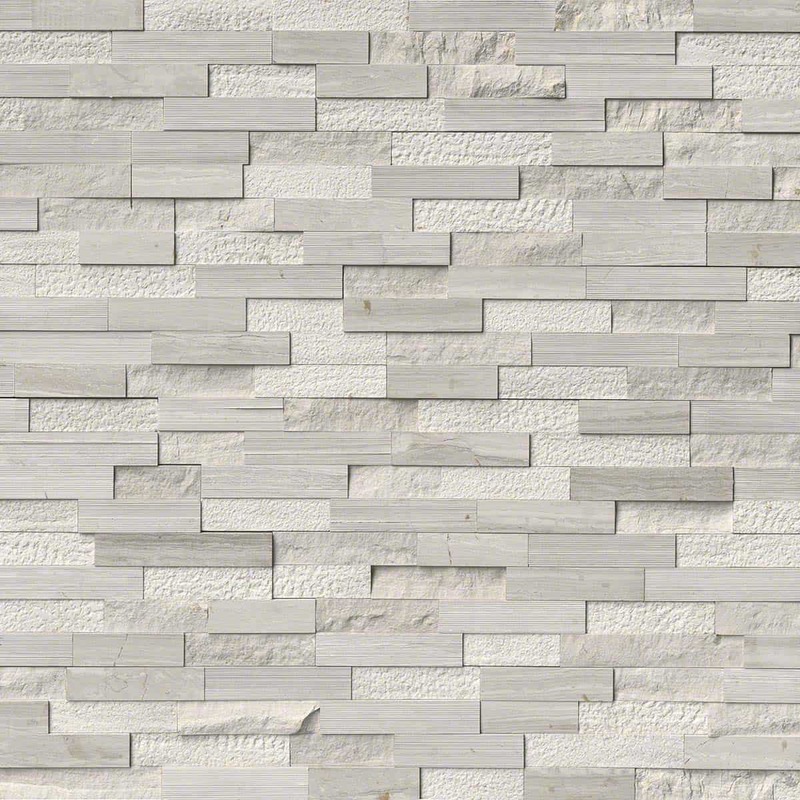 Suitable for backsplashes, fireplace surrounds, and exterior design projects. Use to clad architectural features including retaining walls, support beams, and more. Matching corners are available to finish off projects. Natural Stacked Stone Ledger Panels are trimmed pieces of REAL stone affixed together to form modular interlocking panels. This allows for a fast and efficient installation of a beautiful dry stacked stone veneer. STONEYARD® Stone Veneer Panels are available in both FLAT Interlocking Stepped panels and CORNER “L” Interlocking panels for 90 degree outside corners. The flats are sold by the 6 inch x 24 inch (1 square foot) panel in boxes (quantity per box varies depending on the color). Corners are sold by the “L” corner panel and come in a few different sizes depending on the color. The most popular size corner is shown below. Each corner will have a short side and a long side and are 6 inches in height. This video provides all the guidance you need to get professional results on interior and exterior stacked stone installations, including how to calculate materials and the essential tools and supplies you’ll need. It also takes you through a simple step-by-step demonstration of an indoor stacked stone install, from preparation to the application, cutting to placement. Avoid typical DIY pitfalls and get the custom look installation that you desire with stacked stone panels. 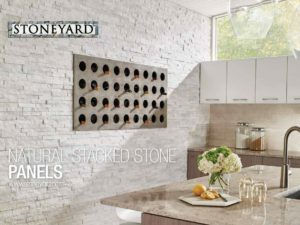 For additional information about this product, please CONTACT US or call 978-742-9800 to speak with a stone specialist today.